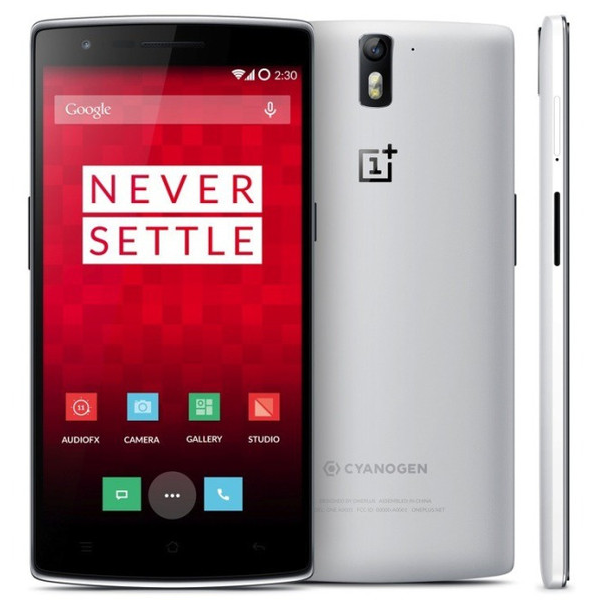 The OnePlus One is no stranger to touchscreen issues. Problems with inaccurate taps have been affecting some users almost since the initial release a year ago - the company has issued no less than seven different "fixes" for the problem across CyanogenMod S and Oxygen OS. The latest problem is easily the most glaring, and it's been documented by our own fearless leader Artem Russakovskii. Basically, the entire touchscreen seems to be shutting off randomly. Artem isn't the only one experiencing this: his wife had the same issue shortly beforehand on her own OnePlus One. If you're wondering, he's running firmware version YNG1TAS2I3, and he had been using the phone outside (but not in any particularly intense heat) before seeing the problem crop up. The only way to solve it is to completely restart the phone with a hard reset, holding down the power button for about 15 seconds. The problem comes back before too long. Artem is one of the most vocal OPO owners out there, but to be fair, his experience doesn't represent a pattern. He and his wife might use their phones in similar ways that have contributed this behavior. Even so, a complete touchscreen failure points to a faulty screen assembly or a bad digitizer in particular, and combined with the terrible problems that hundreds or thousands of OnePlus owners have seen in the last year, it correlates to widespread defects in the manufacturing run. For his part, Artem has more or less given up on his phone, and is just waiting for the next Android M developer preview update to switch to the Nexus 6.